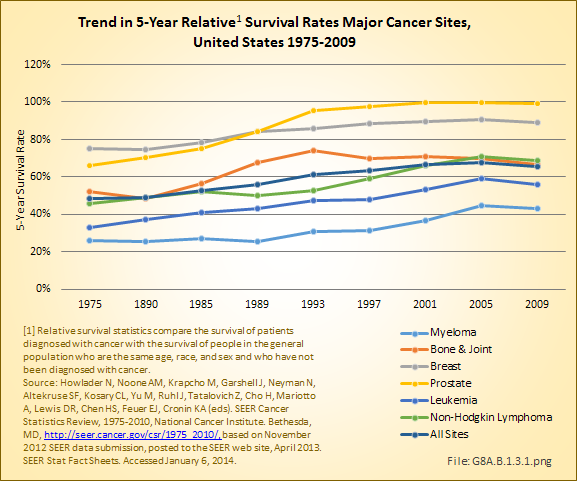 The overall 5-year survival rate in 2006–2010 for bone and joint cancers was 66%, placing it roughly in the middle of all cancers for 5-year survival and comparable to a number of more common cancers such as non-Hodgkin lymphoma, urinary, cervical/ovarian, and soft tissue cancers. 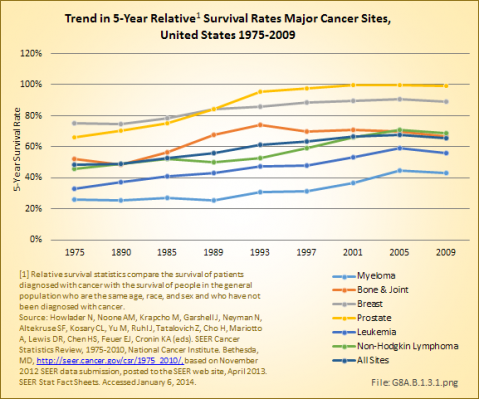 This is an increase of 14% since 1975, when the 5-year survival rate was 52%. 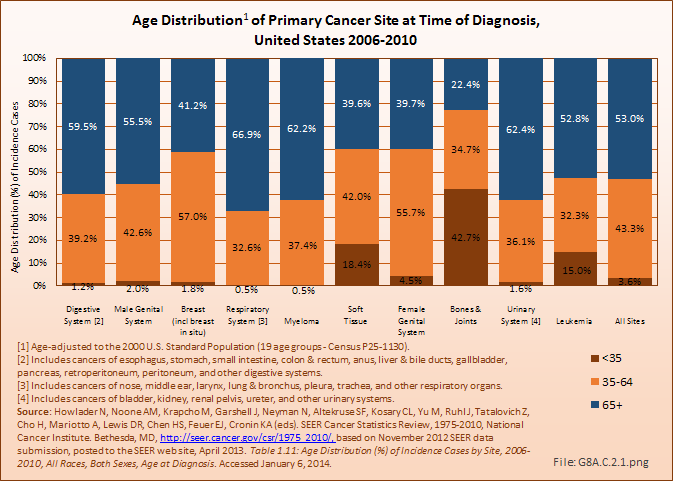 The median number of years of survival after diagnosis is 17, with males averaging 16 years and females 18 years. 1. 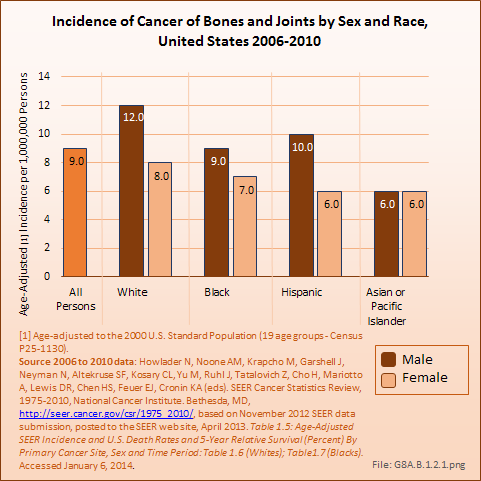 National Cancer Institute, Surveillance, Epidemiology, and End Results Program: SEER Stat Fact Sheets: Bone and Joint Cancer. 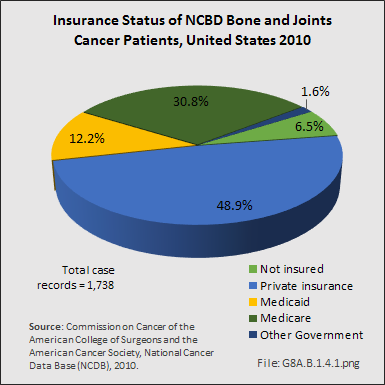 Available at: http://seer.cancer.gov/statfacts/html/bones.html. 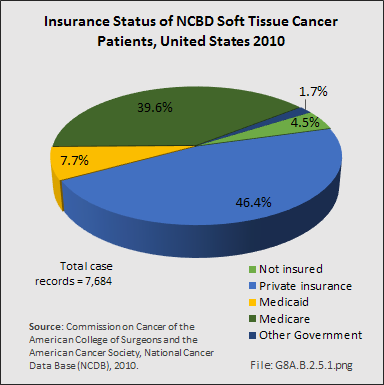 Accessed February 10, 2015. 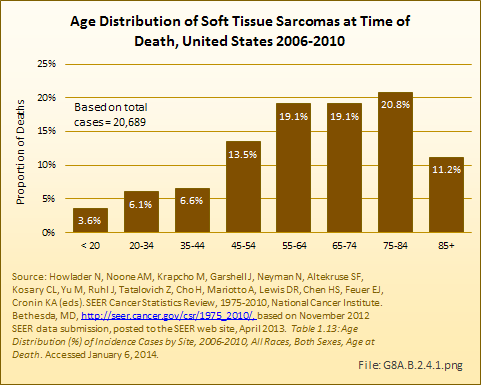 2. a. b. Damron TA, Ward WG, Stewart A: Osteosarcoma, chondrosarcoma, and Ewing sarcoma: National Cancer Center Data Base Report. 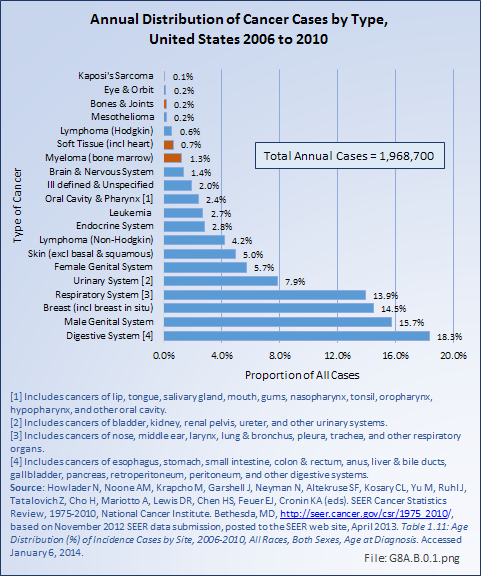 Clin Orthop Relat Res 2007;459:40-47. 3. 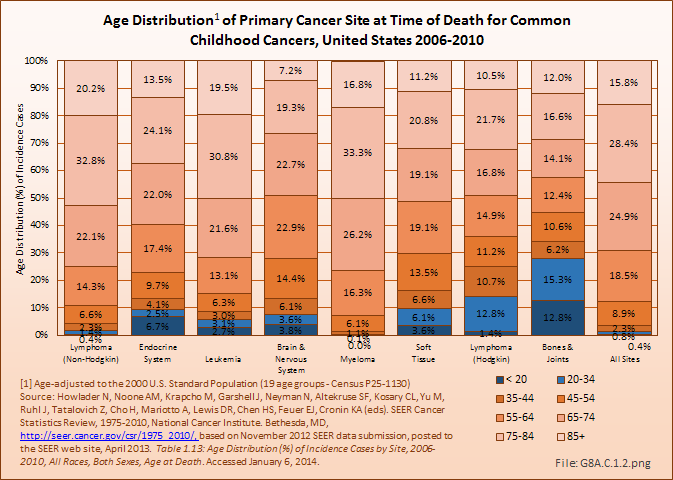 Cancer.net: Osteosarcoma–Childhood: Statistics. 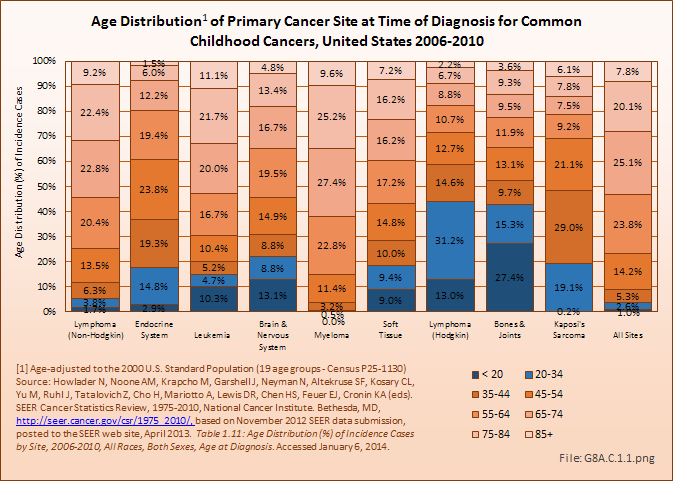 Available at: http://www.cancer.net/cancer-types/osteosarcoma-childhood/statistics. 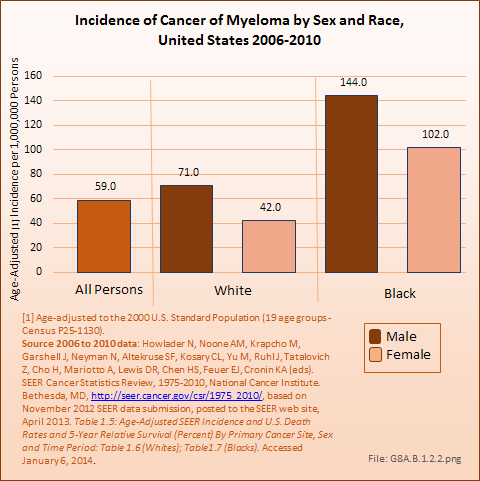 Accessed February 10, 2015. 4. 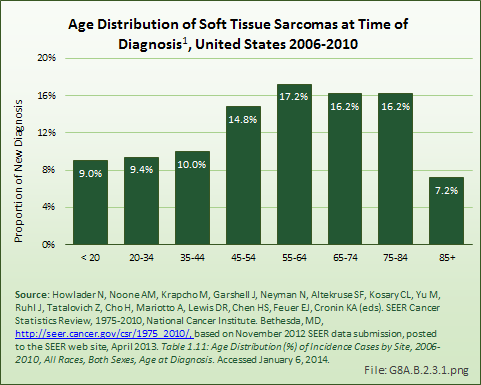 Cancer.net: Ewing Sarcoma-Childhood: Statistics. 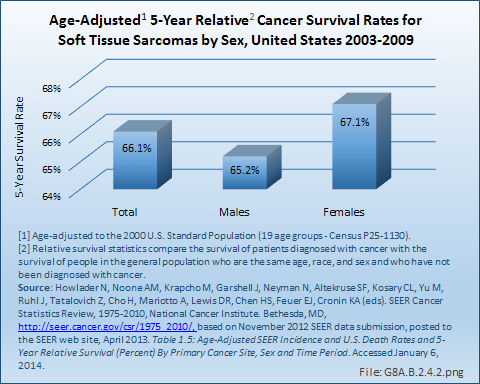 Available at: http://www.cancer.net/cancer-types/ewing-sarcoma-childhood/statistics Accessed February 10, 2015. 5. 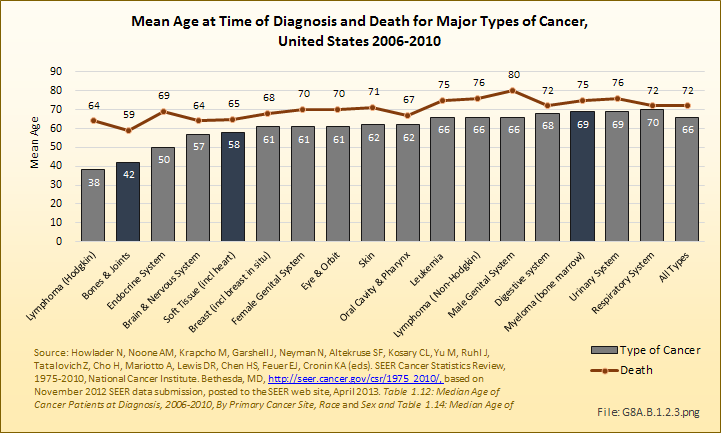 National Cancer Institute, Surveillance, Epidemiology, and End Results Program: SEER Stat Fact Sheets: Myeloma. 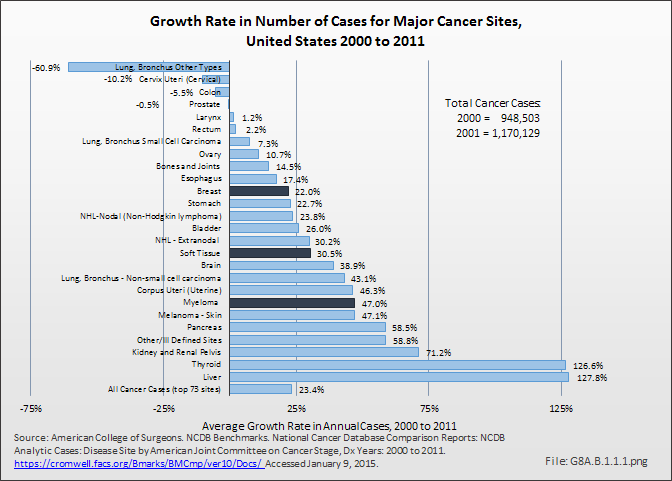 Available at: http://seer.cancer.gov/statfacts/more.html. 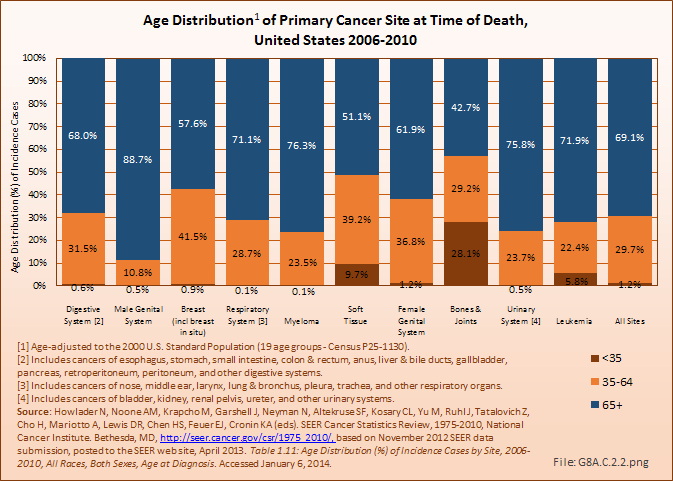 Accessed March 4, 2014.